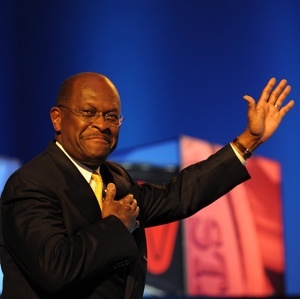 Sentimentally, though he is not as reflexively ideologically conservative as I am, I’m inclined toward Herman Cain for the Republican nomination. Constrained by considerations of security and the deterrence of fraud, liberty is the foundation underlying most conservative objectives. And let me say at the outset that I disagree with Cain’s reflexive support of TARP, and I agree with the qualms that have been expressed about entrusting the federal government with the maintenance of a sales tax revenue stream, especially while any sort of income tax remains. But that said, Cain is definitely conservatively inclined, a purposive and assertive executive, and has a sort of appeal in his presentation that others lack. And, analyses of Cain’s 9-9-9 plan typically fall into a narrow focus on its particular elements outside the altered context of the plan as a whole. A serious philosophical analysis does not evaluate the particulars of one perspective inside the context of another one entirely. You must project the elements of the new environment, not evaluate new particulars in the old environment. First of all, I marvel at the presumption of politicians and pundits who suppose that they know better than a mathematician and executive of Cain’s experience. But In assessing Herman Cain’s 9-9-9 plan on his Wednesday radio program, Michael Medved gave a more elaborate example than other criticisms that include the relatively shallow considerations at Tuesday’s Republican debate, of this common misstep. Michael Medved is a very well-educated conservative analyst of political and other social questions and events. But it is no surprise that intelligence does not preclude the easy treading into this mistake. One can see in discussions of many fields of inquiry, the natural disinclination to set aside the prevailing conventions in consideration of an alternate perspective. Medved did play Cain’s response to a question about whether his plan comprised a regressive tax burden; that lower income people would actually see a tax increase under Cain’s 9-9-9 plan. Cain said that the plan would dispose of the current tax code, including the payroll tax, the largest tax paid in lower incomes. Medved said there was no guarantee that the employer would award his half to you. Perhaps, but if you were an employee that the employer didn’t want to lose, they would. The market for employees is like any other. If you don’t pay for the quality that you can, competition will. But the bigger issue is this, and it’s somewhat similar to liberals’ miscalculation of revenues to be expected from a tax rate increase. In reality, changing tax rates changes behavior, and consequently the conditions. The calculation is not static. As we have never seen such a thing in our lifetime, I can understand why people do not imagine the extraordinary changes that would take place if a plan such as Cain’s were enacted. There would be so much investment, prosperity and opportunity flying around that it would make your head spin. A relatively low-income worker would be earning more unless that person was utterly incompetent or unwilling to work. Employers would train workers on the job for new careers, the demand for labor would be so high. I’ve seen it happen in hot particular markets, and these changes would make America a great investment in most any market. Cain appeared on Mike Huckabee’s weekend program to discuss his plan, and again on Meet The Press with David Gregory on Sunday. Gregory is not as nimble of mind as Michael Medved. He seemed scandalized at Cain’s disagreement with what he thought were the objective analyses he had in hand. But all of these forums are constrained by the format as to how completely Cain can explain the plan. It may take his genuine appeal and his personal credentials if he is to actually attain the nomination and the opportunity to address the people directly. But besides the unprecedented economic vitality and prosperity that the change Cain proposes would produce, the elimination of the current code would eliminate payroll taxes and all other federal taxes embedded in the things we buy. Did you know that the federal government takes a far larger bite out of a gallon of gas than the oil company earns in profit, for example? But the biggest reduction is the enormous reduction in corporate income taxes paid by every company that adds an element to the product that is finally purchased. Illustrating how abstracted a journalist can be from reality, David Gregory asked why Cain was confident that the savings from all of those layers of taxes would be passed on to consumers. Cain the business CEO gave what should be the obvious answer, but which many non-business people don’t understand: competition. It isn’t because they wouldn’t like to keep the money. It’s because competition would force them to give it up. Cain used the simple example of a loaf of bread. The seed vendor, the farmer, the mill that grinds the flour, every other ingredient contributor, the baker, the maker of the packaging, the shipper, the distributor(s)and the grocery store, all pay large income taxes that are embedded in the cost of the loaf. The top corporate tax rate in the US is nearly 35%. On Huckabee, a representative from The Center for American Progress actually argued that business owners and officers pay most of those taxes and pass little cost on to consumers. And he immediately contradicted himself, saying that Cain’s proposed 9% corporate tax would really be in additional cost to consumers’ 9% sales tax. So the current nearly 35% corporate tax is not a charge to consumers, but reducing it to 9% would kill them! I suspect he has an agenda. Anyway, those costs would be gone, and competition would force the price down to what the companies can live on. You may say that some officers in companies appear to be taking a lot of that profit home. Yes. Again, they are paid what the market demands for the value they provide, and if they don’t get it in one place, they’ll get it in another. Companies don’t give away compensation to employees for nothing. Free markets regulate themselves. Adam Smith called beneficial market forces, “the invisible hand.” I believe it’s the design of The Creator. Government interventions beyond prohibiting and sanctioning fraud and preventing imminent harm, only corrupt these natural forces and one way or another end up costing a lot more. So, lower income people would pay no payroll tax, the price of goods would be forced down by the removal of embedded taxes, and most of all, lower income people would have multiplied opportunities to earn more in a prosperous society. And it is very important that the decision over much of the tax that people WOULD pay, would be in their own hands: the individual decides what he will buy and be taxed on, and saving would be encouraged, which has been in too short supply for decades now. Cain is honest and smart. And the corporate CEO is right and the critics of his 9-9-9 plan are wrong. And they are wrong because they judge the individual elements of the plan in the context of the prevailing system, which would be gone. It would be an entirely new environment, such that we have never seen. If Rick Perry recovers and wins the nomination, I will support him more enthusiastically than I supported John McCain, who I Blogged for. But Cain shows deliberate and successful executive experience, an appealing presentation, and I think he would demonstrate his smarts in a face-off with Obama. As I said, I have some questions and outright qualms about entrusting government with a new revenue stream. Though the rates are low now, they would likely be changed later. Cain has suggested a requirement at the implementation, that a 2/3 vote of Congress be required to raise the rate. But a future Congress can CHANGE THE REQUIREMENT. However, I’m willing to let the future deal with that, because there are things that I have no qualms about. The growth posed by Cain’s reform is essential right now. And this and most any other suggested tax reforms would be a massive improvement over the unfair, corrupt, complex, convoluted and costly current system. That’s another thing I find funny about criticism of Cain’s proposal as unattractive. Really? Compared to this system? You must be kidding me! I'm sick and tired of "business as usual" flip-flopping, lying candidates. I will NOT cast a vote for Cain nor Perry if they become the nominee. I'm standing on principle this time. Therefore, if Ron Paul does not become the nominee, I will have to write him in. I have never been so serious about an election in my life. I am fed up. For this Texas primary voter, it's Ron Paul or none at all.